I recently watched the entire 6 episode run of A Chef’s Table (IMDB) on Netflix and I was struck by how much each chef’s passion and drive was for purity, the directness of farm-to-table and a focus on clean and perfect ingredients. Although there is still a place for innovation in high tech, complex and abstract creations in the food world (Achatz, Dufresne, Cantu and of course Adria) where the lines between art, experience, memories, emotion and food blend together in beautiful ways, there are many chefs that are pushing for perfection in going back to traditional methods and presenting the ingredients in the cleanest and purest way. In short: A return to simplicity. Dan Barber of Blue Hill is one of these chefs that is leading the innovation of presenting the absolute best ingredients and products with few frills and as direct as possible to the consumer. “You get to taste what a tomato REALLY tastes like,” he says “when the plant is grown in the best conditions and without a focus on how it looks.” His innovation in so many ways is that he is taking us back to a time before complex, mass-produced, bland foods. By keeping things simple, he in fact brings about a new way of looking at what we eat. 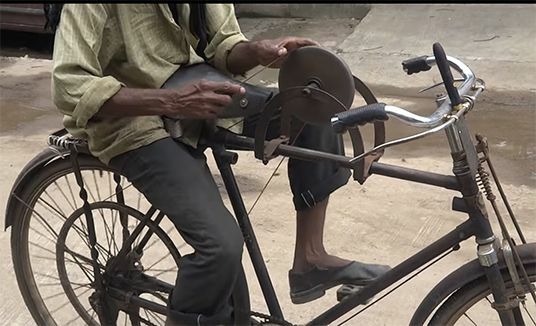 While watching the episode on Barber along with the ones on Magnus Nilsson of Faviken and Francis Mallman, I couldn’t help but think about the concept of Jugaad in the field of medical device innovation. A colloquial Hindi-Urdu word that can mean an innovative fix or a simple workaround (Wikipedia), it has been an idea that has stuck with me ever since I read an article where simple plastic cones had been easily reshaped to become water desalination containers. Such a simple and beautiful design could change the lives of thousands if not millions of people. In so many ways, it is easy to make something more complicated and to keep adding features; building on what is already there. To look at a problem (be it mass-produced, mass-farmed foods or an unmet medical need) and think about how to address it in the most pared down and simple manner in many ways is more challenging. At the same time, it does also mean a greater potential for end user adoption, as the usage should be more intuitive and decreasing the slope of the learning curve. Just this week, IDEO revealed their Antibotics campaign as a refined approach to getting children to take their antibiotic pills. Sticking with the definition of jugaad, this is an innovative solution to the ages-old issue of getting children to take their medicine (and swallowing pills whole no less!). Fundamentally, the medication is no different, but by simply crafting a storyline around the pill, you can increase compliance and medication adherence. This is absolutely elegant in its simplicity. I will soon be running a clinical trial of an endoscopic device at my home institution that I developed using Teflon heat shrink tubing and ceramic balancing beads used in motorcycle wheels. The device is an endoscopic cap that allows the gastroenterologist/surgeon to now have circumferential directional guidance on the video monitor to increase procedural accuracy and to be precise in reviewing portions of the esophagus/intestine that they may have previously biopsied or want to keep an eye on. Total material cost for each cap? Less than $0.10 and biologically safe. When I was looking through the prior art when designing the device, I was struck by how much of the IP that existed to address this issue relied on high tech, complex solutions involving gyros, external hardware for positioning, magnets and other electrical systems. In an age where we are surrounded by technology and with new things coming out every day, it is easy to pile tech on tech. Taking a step back and thinking about a solution to a problem that does not necessarily rely on a complex approach can be refreshing. 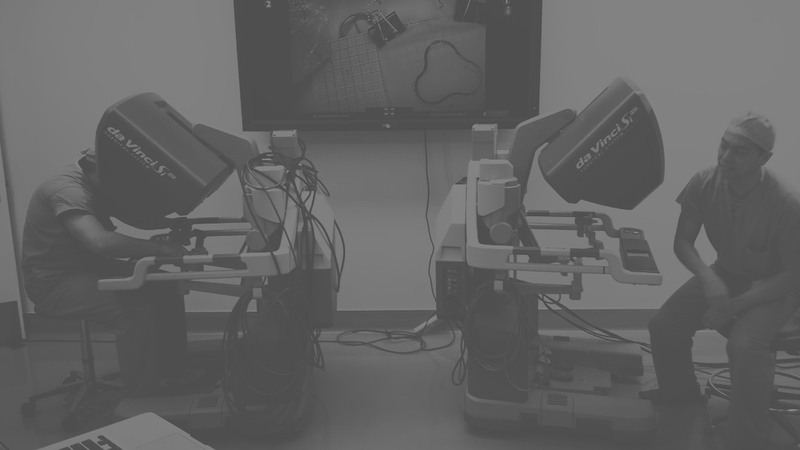 Stanford Biodesign’s India branch has recently developed a way to confirm secure cardiac positioning and insertion of the electrical leads for pacemakers. Using some plastic, popsicle sticks and a spring, they prototyped out a functional system that can let the physician know if the leads were inserted securely into the cardiac muscles. A complex and potentially catastrophic problem was addressed with the most basic of materials. 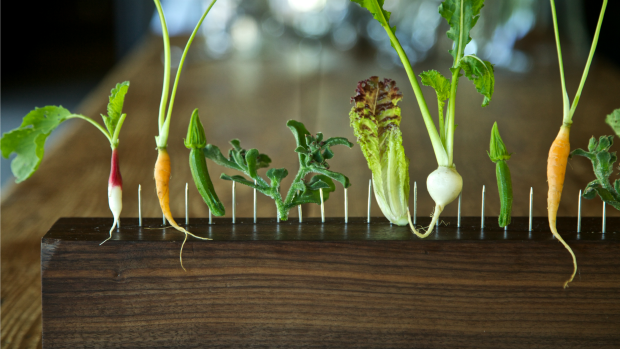 Dan Barber says, “Without great ingredients, there are no good dishes.” Indeed as a creator, inventor, and/or designer, we need to have the right armamentarium, the right skills and the best environment and infrastructure to innovate. We create where we identify a need or see a problem in the world that needs a solution, and there will always be elegance in refining and paring a device down to exactly what is needed. Wearable Tech: Here To Stay? Thanks! I'm looking forward to talking to you soon! Error! Please validate your fields. © 2014 AlbertYHuangMD.com All rights reserved.